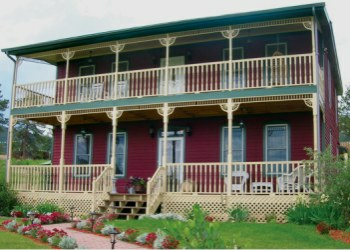 Escape from the daily hassles of work and life at our Conifer, Colorado, winery and bed and breakfast. 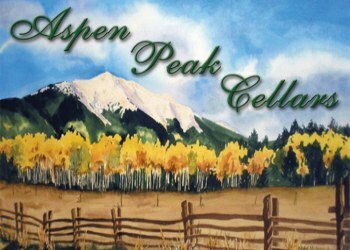 Aspen Peak Cellars at Clifton House Inn is a historic retreat, micro-winery, and bistro. Nestled in the beautiful Denver Foothills, the base of the Colorado mountains, our bed and breakfast sits on 5+ acres of meadows and rolling hills that offer exceptional views of Pikes Peak. The inspiration behind our Colorado winery and wedding venue rental comes from many years of culinary experience, award-winning wine making, and the desire to share this wonderful location with family, friends, locals, visitors, and travelers on a daily basis. Marcel and Julie Flukiger, proprietors of Aspen Peak Cellars at the Clifton House Inn are committed to make your visit most memorable and hope to have you soon as our guests. Stop in for a Tour of the Winery and sample award winning wines in a beautiful new tasting room. Whether you enjoy a glass of our vino on site or a bottle along with your picnic down by the Platte River, we promise you a relaxing time in Bailey. At our Micro-Winery we produce small batches of wine and our selection changes frequently. So check back often for updates or sign up to our newsletter for monthly winery happenings. We offer 5% discount on 6-packs and 10% on cases. We currently only ship in the State of Colorado. Our Wine Club is the perfect way to learn more about our fun establishment. 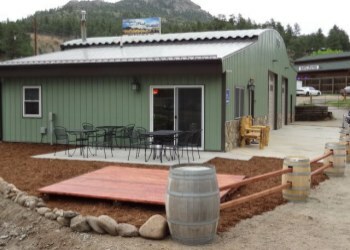 You can also find our wine at The Cellar Door in Woodland Park, CO.